Dubai International has retained its title as the world’s number one airport for international passengers after near record numbers in December propelled the hub’s annual traffic to 83.6 million passengers in 2016. Dubai International’s annual traffic in 2016 reached 83,654,250 passengers, compared to 78,014,838 in 2015, a robust growth of 7.2 per cent. The surge of travellers during the holiday season boosted monthly traffic in December to 7,706,351, up 9.3 per cent compared to 7,053,243 recorded in December 2015. During 2016, a number of new airlines, including Nepal Airlines Corporation and Rossiya launched services to DXB, while 11 new passenger destinations were added to the hub as a result of network expansion by flydubai, Emirates and other international carriers. 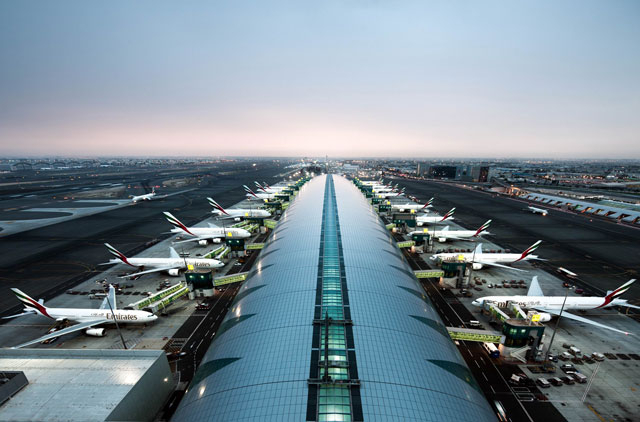 Paul Griffiths, CEO of Dubai Airports, said that Dubai International has firmly established itself as the leader in the international passenger category. “With our forecast for 89 million passengers in 2017, Dubai International is closing the gap on Atlanta and Beijing for the top spot in overall traffic,” he said. Dubai airport’s phenomenal growth is a result of the meticulous planning and implementation of the vision of His Highness Shaikh Mohammad Bin Rashid Al Maktoum, Vice-President and Prime Minister of the UAE and Ruler of Dubai. “Dubai Airport boasts of the state-of-the art passenger and cargo terminals and is ideally placed on the East-West travel routes of world aviation,” Premjit Bangara of Sharaf Travel. “The government has spared no expense in modernising the airport and supporting infrastructure including hotels ,resorts and theme parks to achieve this vision. Emirates Airlines have also contributed immensely in driving passenger growth through Dubai." In terms of percentage growth in 2016, the top regions were Eastern Europe (17.5 per cent) – spurred by ongoing growth on routes to the region and network expansion by Emirates, flydubai and other airlines, Asia (11.4 per cent), and the Indian subcontinent (9.5 per cent). Dubai International also leads the way globally in terms of the average number of passengers per flight which reached 209 during 2016, up 4 per cent from the same period in 2015. The average number of passengers per flight during in December 2016was 224, up 7.1 per cent compared to the 209 recorded in December 2015. Aircraft movements last year reached 418,220 compared to 406,705 in 2015, up 2.8 per cent. Monthly aircraft movements in December reached 36,065, up 1.6 per cent compared to 35,491 movements during the same month in 2015, an increase of 5.9 per cent. After registering a contraction throughout the third quarter, cargo volumes recovered in the last three months of 2016, rounding off the year with 2,592,454 tonnes in freight, up 3.4 per cent compared to 2,506,092 recorded during 2015. The airport handled 230,122 tonnes of cargo in December 2016, an increase of 5.4 per cent compared to 218,408 tonnes recorded during the same month in 2015.Saudi Arabia took the second spot with 6,086,158 passengers, marginally overtaking the United Kingdom (UK) at 6,061,342.